In another introduction to our farm friends, in this instalment we introduce you to our resident lambs, Blacky and Pinky – you can see we’re creative in our naming, as one has a pink nose and one has a black nose! These lambs arrived to us at a couple of months of age, both male, and will be raised on the farm for personal meat production. 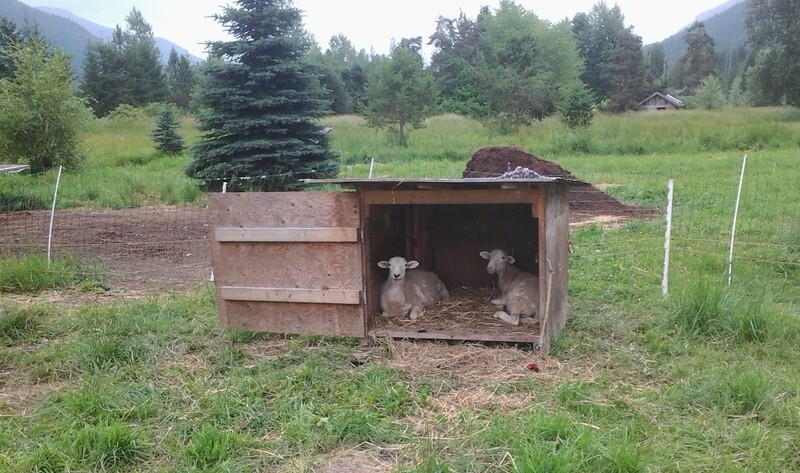 Sheep don’t need much from us except shelter, fresh grass, water, and a handful of oats each day. We move their fenced area about once per week to put them on fresh grass, and when they feel they have been on one patch for too long, they let us know by escaping and running around the farm in search of the tastiest dandelions and clover. The lambs spend their days munching on grass, then sitting down in the shade to chew their cud. They spend all of their time side by side, because clearly the grass that the other one is eating is much better and must be taken from him! Lambs, pigs, chickens, dogs and turkeys (stay tuned! 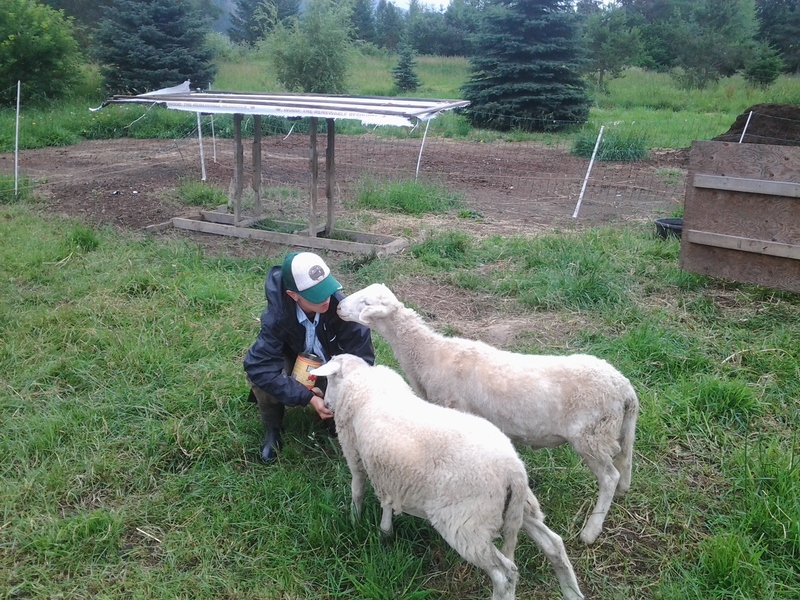 )… our farm family is multi-faceted, sometimes needy, and always entertaining!